Billy Vunipola will miss England's November internationals after the luckless Saracens number eight fractured his left arm. 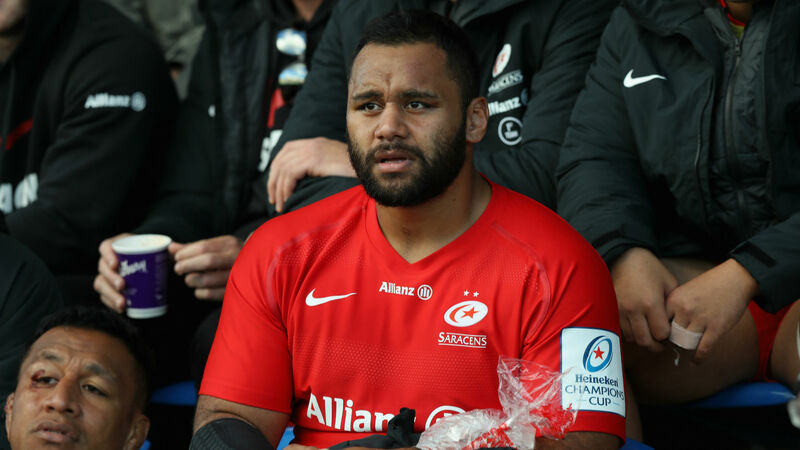 Vunipola suffered yet another injury setback in Saracens' European Champions Cup win at Glasgow Warriors on Sunday. The 25-year-old will undergo surgery on Tuesday and is expected to be out for around 12 weeks. Vunipola broke his right arm for a second time during England's tour of South Africa in June and only returned to action last month. Sarries are monitoring the England prop's progress as they count the cost of a hard-fought 13-3 triumph in their Champions Cup opener. Lock Nick Isiekwe, capped three times by England, is also being assessed after spraining his ankle. Jamie George and Maro Itoje suffered broken noses, while Owen Farrell picked up a knock but was able to continue. Eddie Jones is due to name his England squad for the internationals against South Africa, New Zealand, Japan and Australia on Thursday.